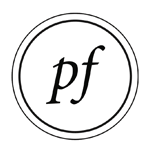 Parecon Finland is an organization focused on bringing a new viewpoint on ecology, democracy and economy to Finland. 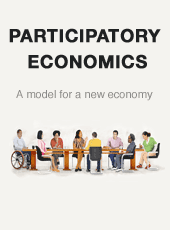 They use the advanced concept and idea of participatory economics as a starting point for more in-depth discussion on different alternatives. 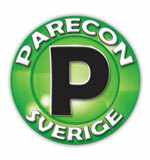 Parecon Sweden aims to win a society and an economic system that is based on participation, solidarity, equity and self management. 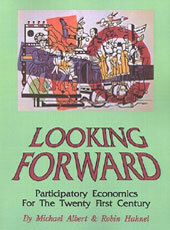 Its short term objective is to increase knowledge about, interest in and support of the Participatory Economics model. 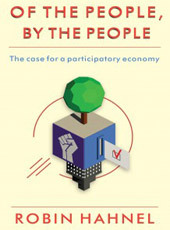 An advocacy group for promoting and raising awareness of the Participatory Economics Model, as an alternative economic system, amongst the general public in the U.K.
Robin Hahnel talks about his new book, Of the People, By the People, The Case for a Participatory Economy. 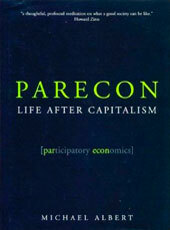 An introduction to Participatory Economics (Parecon) by Michael Albert in Helsinki, Finland. A short cartoon introduction to Participatory Economics. An in-depth three part presentation of participatory economics by Robin Hahnel. Robin Hahnel speaking at University of Helsinki (11th September, 2012) about some of the structural problems of market systems. The talk was organized by Parecon Finland. Robin Hahnel on participatory planning at ABF-huset in Stockholm. Michael Albert speaks about Participatory Economics and the interim International Organisation for a Participatory Society. 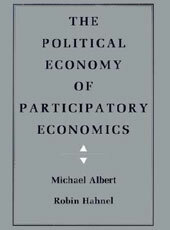 Michael Albert introduces the values and institutions of Participatory Economics in chapter two of the book Occupy Vision. An accessibly written pamphlet introducing a “participatory economy” and the who, what, why of economic revolution written by Yotam Marom. Seven reasons to advocate parecon, by Michael Albert. An article that seeks to clarify misconceptions about the model and defends participatory economics against some common criticisms, by Robin Hahnel. A transcript of a talk presented by Robin Hahnel at the 100th anniversary of the founding of the CNT conference, describing how workers and consumers could best go about planning their own, interrelated economic activities themselves. Chris Spannos interviews Robin Hahnel coverning whether or not participatory planning can really solve several important economic problems. An explanation of how Markets undermine our values, by Robin Hahnel. Online parecon resource, including articles, debates, interviews, blogs, videos and more. Michael Albert is an American activist, speaker, and writer. He is a co-creator of the Participatory Economics model, and co-founder of the alternative media organisation ZCommunications. Robin Hahnel is an economist and political activist. He was Professor Emeritus at American University in Washington, D.C and Portland State University. He is a co-creator of the Participatory Economics model. Unless the economy is of the people and by the people it will never be for the people. 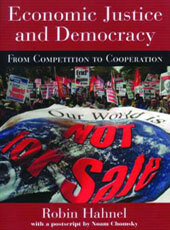 This book is for people who want to know what a desirable alternative to capitalism might look like. In a libertarian socialist economy, what kind of information and transactions would need to be recorded in order to enable democratic participation, efficient decision-making and equitable outcomes? 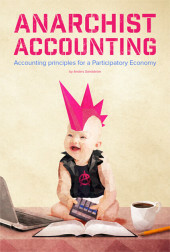 Using the economic model Participatory Economics as a framework, this book proposes a set of accounting principles for an economy comprised of common ownership of productive resources, federations of worker and consumer councils, and democratic planning. Leading radical thinkers Robin Hahnel and Erik Olin Wright take on the crucial but all-too neglected question: what kind of society should we be fighting for instead of capitalism? Hahnel favours ‘participatory economics’. Wright advocates ‘real utopian socialism’. 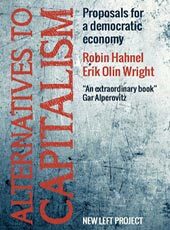 Alternatives to Capitalism puts these practical proposals through their paces in an in-depth, frank and extremely instructive debate about the central question of our time. In Economic Justice and Democracy Robin Hahnel presents a coherent set of economic institutions and procedures that can deliver economic justice and democracy through a “participatory economy”. 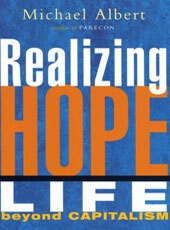 Realizing Hope offers a vision of how whole areas of life might be transformed in a post-capitalist society, one where communities rather than profits are placed firmly at the center. 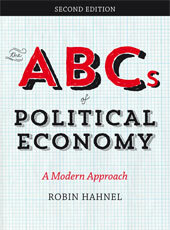 A lively and accessible introduction to modern political economy. Informed by the work of Marx, Veblen, Kalecki, Robinson, Minsky and other great political economists, Robin Hahnel provides the essential tools needed to understand economic issues today.